Born of necessity, CYC-OLOGY TIME is a boutique indoor cycling and health studio dedicated to offering clients a variety of spinning, upper body and core training and workouts. Owned and operated by husband and wife team, CYC-OLOGY TIME was created to inspire a lifestyle that embraces wellness, community, positivity and strength. This fitness fairytale all started over 10 years ago. Dealing with life's endless barrage of curve balls and no inspirational gym in sight, owner and founder, Erin Gulla Verbel found solace on her stationary bike located in her home’s garage. A gift from her husband, Dre, her time on the bike was exactly that - “her time” to reflect, de-stress and re-center. Indoor cycling became her salvation from the daily grind, a time for soulful meditation. 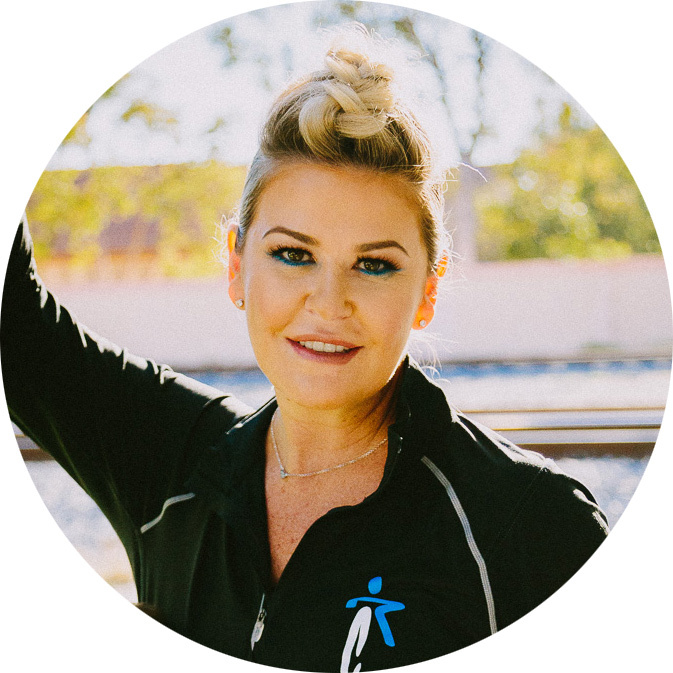 Erin’s goal is to share and inspire her clients to invest time in themselves by way of a boutique fitness program dedicated to embracing wellbeing. A safe harbor of positivity allowing clients to push hard or just escape for an hour. It’s about getting what you need out of your ride. We have developed a unique indoor cycling and health Studio creatively designed to take your mind, body, and soul to a whole new level of positive energy and physical strength! We will encourage you to push your body to new physical extremes while freeing your mind and stress levels. We strive to provide a judgment-free zone! Our primary goal is to help our clients get away from it all and focus on YOU without intimidation or judgement. We want everyone to come together and inspire each other to make positive life changes and get what you want and need out of your ride. Co-founder Erin is best known in her circle of friends as a ‘spiritual gangster’. An avid yoga lover and tough-as-nails persona, she brings the best of both worlds together. Her unique character conveys a powerful yet tranquil and inspiring atmosphere to our Studio. You will immediately feel better as soon as you enter our well-developed sanctuary for our guests to find camaraderie, calm their mind, and awaken their senses. Fitness is a lifestyle resolution. We offer in-house nutrition, meal planning, online performance tracking, and essential ways to living a well-balanced life. A variety of classes offered daily online to fit any schedule! Fitness is not just about working on your appearance. It’s working your body and soul from the inside out. It’s not about how you look; it’s more about how you feel and how to feel good in your every day life. Set your intentions and your goals and together we will help you reach them thru music and positive energy. Ready to join our ride?